Every traveler knows how the attitude of local people can influence the experience when visiting a new country. When going somewhere new, we want to learn about other ways of living, we want contact with new cultures, we want to connect with people whose lives are so different but somehow so similar to ours. People in Uganda are friendly, open and curious with a great sense of fun. They are always happy to see others traveling in their country and they wave, smile and many times genuinely engage the travelers in friendly & amusing conversions. People are always proud that travelers come from all over the world to visit their home towns and villages. And many villages in Uganda understand the importance of conservation and its impact to community development. Game viewing is the most popular tourist activity in Uganda. Wild animals like lions, buffaloes, giraffes, antelopes, elephants are common in Uganda’s ten national parks. Uganda is one of only three countries where it is possible to visit the endangered mountain gorillas. The others are Rwanda and the Democratic Republic of the Congo. Uganda is home to an impressive number of species of birds that vary from residents, that stay all year around, to breeding birds, that spend a good part of the growing season in Uganda to raise their young. 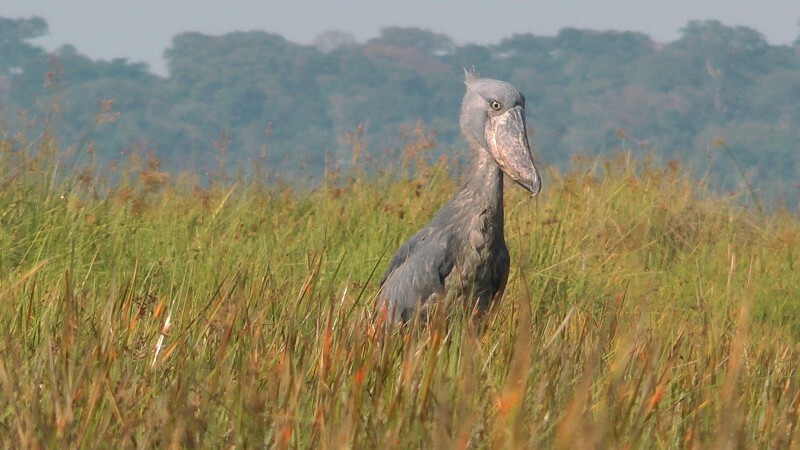 While many species of birds are relatively common as they are part of the ecosystems of the state, it is always a thrill to stumble upon a rare bird that does not really form part of any the Uganda ecosystems. Lions do not normally climb trees, except when chased by another lion group or wild buffalo. However the tree climbing lions found in Queen Elizabeth-NP intentionally climb trees and rest on them in the afternoon, when the sun is high. This is a truly unique phenomenon. There have only been rare similar sightings of this in Lake Manyara National Park of Tanzania. Uganda is an African success story and whilst being adventurous and un spoilt, it is now a very safe country to travel to. Unlike its neighbours it has been very peaceful for a longtime. Kampala the capital of Uganda is one of the safest cities in Africa. The government is also investing in infrastructure especially the roads leading to remote areas, making it increasing easy for tourists to travel to these areas. With its prime location in the African Great Lakkes region, Uganda has a variety of water bodies that are popular spots for tourism. White water rafting and kayaking are popular activities on the rapids near the source of the Nile at Jinja. Boating which is commonly done on Lake Victoria, Lake Mburo, Lake Bunyonyi, Kazinga Channel, and River Nile is a perfect way of exploring the buffaloes, hippos, crocodiles and a wide variety of bird species that inhabit the banks of these water bodies. Sport fishing is another favorite tourist activity. Fish like the Nile perch, and tilapia can be caught in designated areas of Lake Mburo and the banks of the Nile. Canoeing can also be done at Lake Bunyonyi. Uganda needs support and apart from helping the conservation of its wildlife and ecosystems, it’s vital to help the local communities to improve their standard of life. Bwindi Hospital is an important hospital in Uganda specializing in HIV treatments and is one of the projects the tourists have supported. The culture of Uganda is made up of a diverse range of ethnic groups. Lake kyoga forms the northern boundary for the Bantu-speaking people, who dominate much of East, Central, and Southern Africa . In Uganda, they include the Baganda and several other tribes. In the north, the Lango and the Acholi peoples predominate, who speak Nilotic languages. To the east are the Iteso and Karamonjong, who speak a Nilotic language, whereas the Gishu are part of the Bantu and live mainly on the slopes of Mt. Elgon. They speak Lumasaba, which is closely related to the Luhya of Kenya. A few Pygmies live isolated in the rainforest of western Uganda. A tourist can readily book a cultural experience from www.authenticugandanexperience.com with a variety of experiences to choose from given the diversity offered by the country. In this way they get the opportunity to explore the different customs, beliefs and norms unique to the different tribes and regions. You might be aware that the Nile River is one of the world’s greatest and longest rivers. What you may not know is that one of its sources is in Uganda. What you may not know further still is that the river not only meanders in these parts, but also pulses and rages with surprising force. Around the Ugandan town of Jinja, where the Nile is wide and full, small farm fields and villages line the way to a rafting put-in for a day of adventure on the water like none you’ve ever experienced. You can share with us your experiences in Uganda in the comments section.